Training Series Shows You Step-By-Step How To Make Money With Hot Trends! Let me show you exactly how to find hot trends using Google® and make some easy money on a daily basis. You may already know all about trends, but I will take the learning curve out of making the easy money and get you started in the next hour. 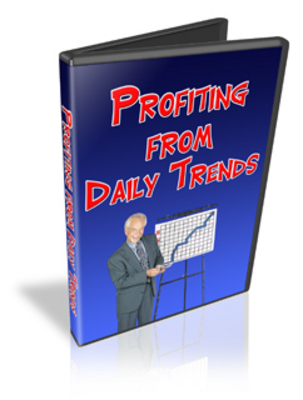 - How to quickly and easily find the hottest daily trends that you can profit from immediately. - One method for setting up a free website in minutes. - The simplest way to monetize your site so you can start earning today. - What are the easiest and fastest ways to get visitors so you can start earning more fast. - How to duplicate this method in literally minutes multiple times per day. On August 6, 2008, Google launched a free service called Insights for Search. Insights for Search is an extension of Trends and although the tool is meant for marketers, it can be utilized by any user. The tool allows for the tracking of various words and phrases that are typed into Googles search box. The tracking device provided a more indepth analysis of results. It also has the ability to categorize and organize the data, with special attention given to the breakdown of information by geographical areas. * 7 videos in SWF (flash) format.